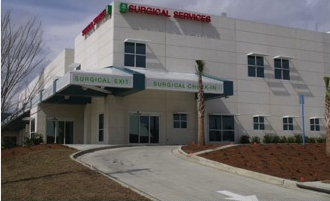 The new addition to Clarendon Hospital is looking out for the health and well-being of patients before they enter the building. The 47,000-square-foot addition earned LEED certification in July 2012 and is the premiere LEED certified project in Manning, SC. The project features a white TPO roof and concrete parking lot to reduce the heat island effect. Low flow plumbing fixtures reduce water by nearly 40%. The building is highly energy efficient, featuring low-E glazing with shading and a high efficiency chiller and boiler combination. Low-emitting paints, sealants and adhesives to maximize air quality. Using an existing parking lot eliminated the need to add additional exterior parking spaces and reduced environmental impact. 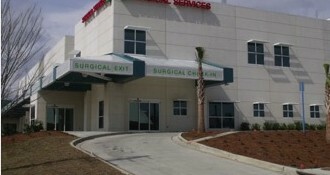 The Clarendon Hospital Addition is the premiere LEED certified project for Manning, SC.